This is how you can change the color temperature of your photo. Play with this adjustment to make your photos feel warmer or cooler. Slide to the left to make an image that looks blue and cold. To the right gives an orange and warm photo. 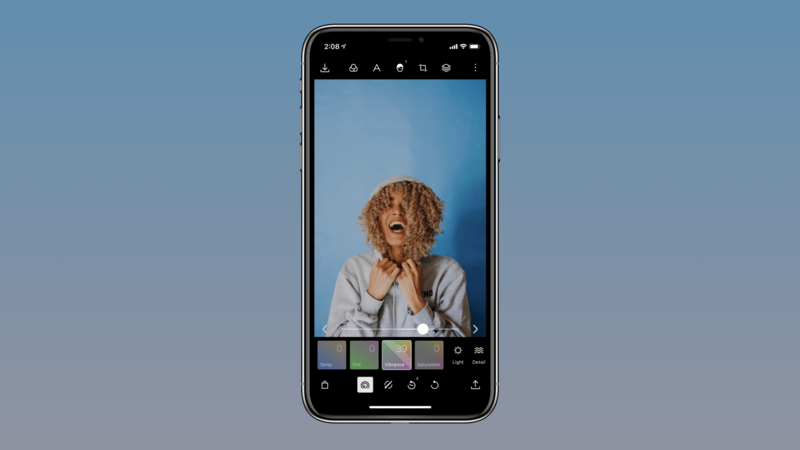 This slider will make add either magenta or green to your photos. Slide to the left to add green and slide towards the right to add magenta. The vibrance adjustment is sometimes confused with the saturation slider because it appears to make the colors in your photos pop more. While this is true, the vibrance slider doesn't boost all of the colors and will preserve skin tones best. So use this if you have people in your photos and want to make the colors pop. This one slider adjusts the saturation value of all the colors in your image. Go to the right to make your image look wild and to the left to remove the saturation.